We are overwhelmed by the support shown on Saturday at our 3rd Annual Chum, Chowder, and Chocolate. A record 500 people came to the Trail on a cold, sunny day to enjoy a cuppa Xinh’s famous chowder served up by Taylor Shellfish and some hot coco before heading down the Trail to watch the magical event that is chum spawning in Kennedy & Fiscus Creeks. 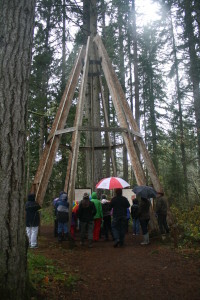 Visitors donated over $1,400 to the Trail; supporting 400 student visitors to the Trail. 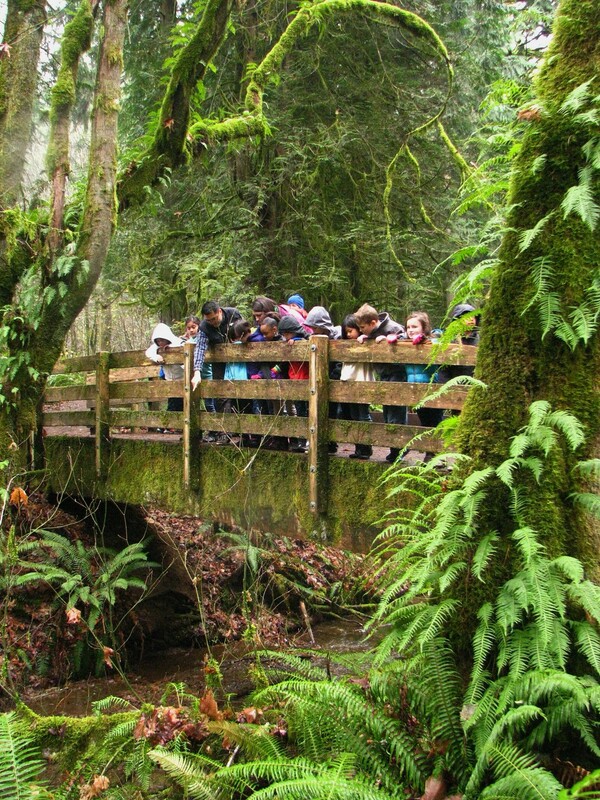 “The beauty of this Trail is that we have Fiscus Creek. 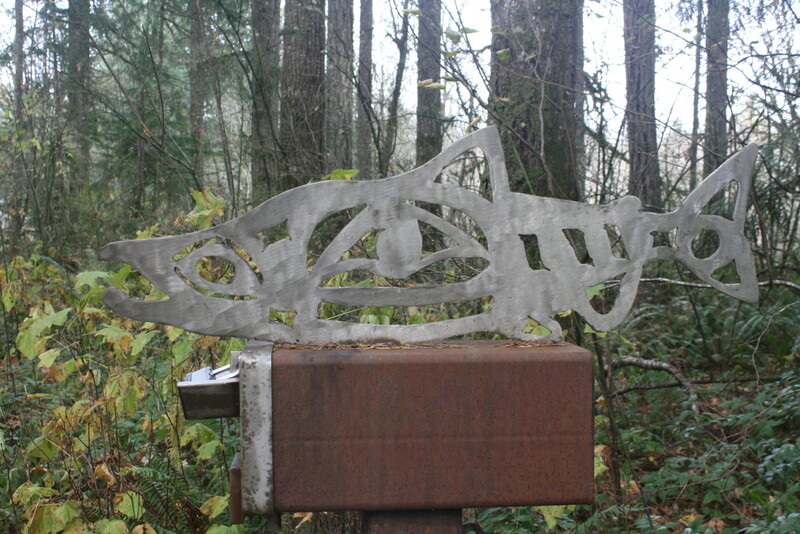 If viewing is difficult in Kennedy, it’s great in Fiscus” said Lance Winecka, Executive Director of South Puget Sound Salmon Enhancement Group. The outpouring of support for our volunteer Docent lead tours for scheduled school groups demonstrates the value of this program. 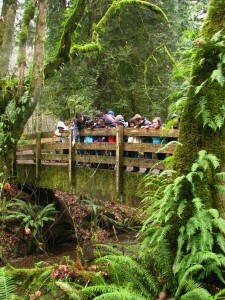 This year, 2999 school kids and 500 chaperons visited the Trail during the week. The number would have been higher except the weather didn’t cooperate this year and 10 classes with 520 kids had to cancel their field trips. Kennedy Creek is a community supported resource. The 2015 season was supported by donations from the Squaxin Island Tribe (2,500), Olympia Federal Savings ($1,000), Community for Interfaith Celebration ($250), South Sound Fly Fishers ($250) and community members like you. 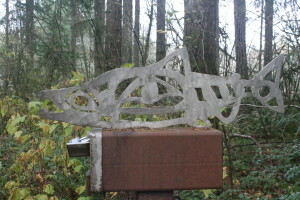 The Trail is owned by Taylor Shellfish and coordinated by South Puget Sound Salmon Enhancement Group.